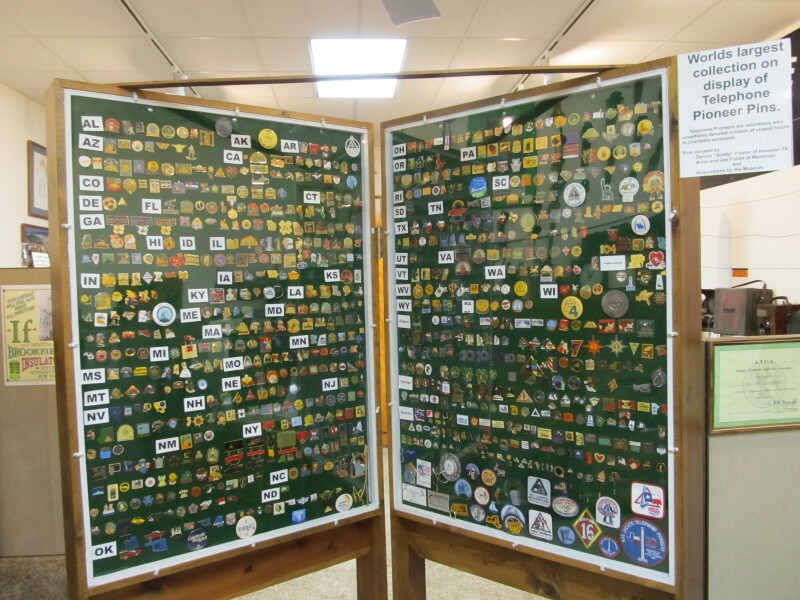 The World’s Largest Collection of Telephone Pioneer Pins on Display. We now have the distinction of having “The World’s Largest Collection of Telephone Pioneer Pins” on display. The Pioneer Pins are highly colored enamel and each has its own theme. Many hours went into this display and it’s one of a kind. Telephone Pioneers (active and retired) make up the worlds largest corporate volunteer organization. It was founded in Boston in 1911 as the Telephone Pioneers of America, and was funded through company sponsors and public charitable donations. You have to see the pins to even begin to grasp the far reaching volunteerism of this organization.